If you like trying new apps you'll be horribly familiar with the joys of built-in software uninstallers, which all too often leave bits and pieces everywhere. It's a particular pain when a program comes with additional tools like browser toolbars and unwanted 'helper' apps, which then have to be removed separately. 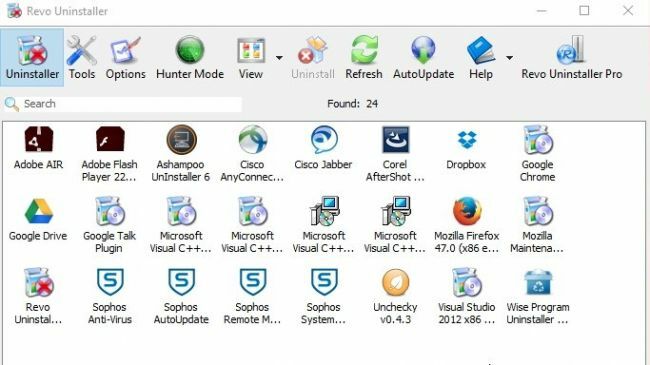 Revo Uninstaller Free is a free system utility that solves the problem by scanning for the bits the standard uninstaller often leaves behind, and its multiple uninstall option means it's a big time saver too. The free version can't uninstall apps that were on your PC before you installed it, but it does a good job of getting shot of anything added since.